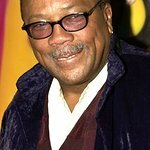 Join Quincy Jones and 40 other legends for an unforgettable night that will help save the music on May 17. David Johansen, Stanley Jordan, Essie Mae Brooks, Kansas City Band featuring Steven Bernstein, Geri Allen, James Carter, Christian McBride, Don Byron, Curtis Fowlkes, Craig Handy, Victor Lewis, Mark Whitfield, Art Baron, Jerry Dodgien and many more. For 23 years, the Jazz Foundation has been dedicated to saving the homes and lives of elder jazz and blues musicians in crisis. They now assist in over 6,000 cases a year, including hundreds of New Orleans musicians and their children still recovering from Katrina.